Having an email address with your own company name gives instant credibility. iNFLUX PC will set up your company with a proven email solution powered by Google. We are authorized resellers Google Apps products. These products will allow scalability, reliability, and productivity over your current solution. iNFLUX PC will manage your email settings settings for you or simply configure them and pass you the control. 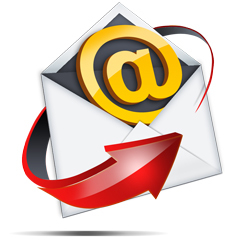 We have several free email solutions for home and small businesses. Please let us know how we can help you.